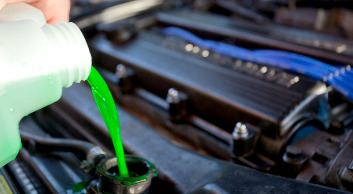 Coolant assumes a highly important function – it prevents the car’s engine from overheating. Antifreeze is put in the system to help withdraw some excessive heat. At the first glance, any liquid is capable of handling this task, but synthetic antifreeze not only rejects heat, but also never freezes over even during severe winter frosts. Therefore, if you put in another liquid instead of antifreeze, it will freeze over, expand and damage the engine’s walls. Aside from that, antifreeze exhibits lubricating and anticorrosion properties, so you should carefully monitor its level and change it on time. If the antifreeze level is below the lowest mark and there are no leakage traces, then you must replenish this loss. During the car operation, its engine is warmed up to the temperature greater than +100оC, while in winter it is cooled down to -35оC. Owing to such rapid changes, the coolant loses its properties and cannot cope with its main task. In order to keep the engine in a good condition, specialists recommend changing antifreeze every 45-60 thousand operational kilometers or at least once every year and a half. 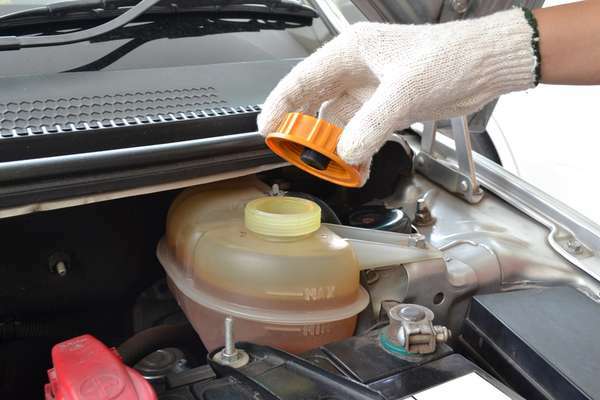 In this article, we are going to tell you when to change coolant in car, how to choose and how to change coolant for your auto. Look under the hood and check up on the status of liquid in the cooling system reservoir. If it is pure – it is OK, but if it is nebulous and has some bloom on its surface – it is high time to change it. Use special test strip. You can easily find it in any auto shop or buy it in set with a can of antifreeze. Consider the number of kilometers your car has made with this antifreeze. Some modern manufacturers offer such means that can cover up to 100 000 operational kilometers. 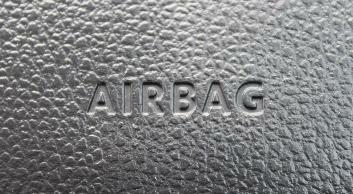 But in fact, it entirely depends on your driving style and operating conditions. They have G12++ and G13 symbol name. Antifreezes of this group have violet or pink color and contain polypropylene glycol. Through this agent, antifreezes of this group are considered to be friendlier for the environment and their storage life is up to 10 years. The only disadvantage of this type is its high price. They have G11 symbol name. This group includes antifreezes of green and blue color. The advantage of the hybrid antifreeze is minimal concentration of phosphates. 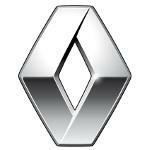 As a result, no precipitations occur in the engine cooling system. As for its disadvantage — it is a relatively short storage life. The hybrid antifreeze’s storage life is only around 3 years. They have G11 symbol name. The color of this group is either orange or red. The composition of such antifreezes includes rust inhibitors with carboxylic acid. This liquid is capable of creating a protective film on the corrosion spot, preventing its spread and prolonging service life of the entire system. The storage life of this antifreeze is around 5 years. According to the international classification, they have IAT symbol name and contain inorganic inhibitors. In common terms, this group is known as Tosol. The disadvantage of this liquid lies in the fact that it forms some steady precipitations on the surface and has pretty short storage life — around 2-3 years. Traditional silica-based antifreezes are quite popular nowadays. 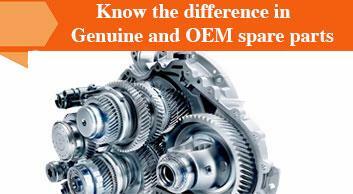 They are better suited for protection of aluminum parts and components. Keep in mind though that, in addition to the storage life and characteristics indicated by manufactures, you should also take into account the technical specifications of your car and its operational kilometers. And if you don’t want to take any risk and choose antifreeze by your own, then read technical documentation of your vehicle. In most cases, manufacturers indicate what type of antifreeze would be optimal for a certain vehicle model. You can also google how to change coolant in Santro Xing or in any other model. All articles and advices on how to change coolant in i10 or in any other car start with recommendations to shutdown the engine and let it cool down. And rightly so, because the replacement is carried out only when the engine is stopped and cold. It would be nice if you have a possibility to place your car at an angle. This is necessary in order for the liquid to drain better. If you don’t have this possibility, then just place your vehicle on some hard and smooth surface (garage will do). Then, use a wrench to unscrew the engine mounting and lift the protective cover of the engine. In order to do this, it is better to use some special wrench or try to find some appropriate tongs. It will be quite difficult to remove the clamp with your fingers. 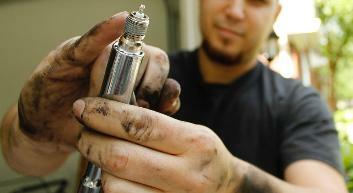 Then, you should place some tank under the radiator drain valve and wait until all the liquid is completely drained. Antifreeze may spill during the drain process, so you should be extremely careful and, if possible, try to find some deep tank or protect your face and open skin areas. Then, remove drain plugs from the engine and make sure there is no old antifreeze in the coolant reservoir and in the radiator. Once all the liquid has been drained, inspect all rubber hoses for the presence of leakages or cracks. It should be done in order to remove all residues of the old antifreeze, as well as scale and rust. Once the antifreeze has been drained, tighten all plugs and pour over some purge fluid via the coolant reservoir. Start the engine at idle and keep it running until it reaches its working temperature and until the cooling system starts up. Then, wait for a couple of minutes, shut down the engine, let it cool down and drain the purge liquid. Don’t remove lower and upper plugs of the radiator when the engine is hot. When you open it, the liquid will splash out against pressure – there is a risk to receive serious burns. You should flush the system until the water becomes totally clean. Slowly put in the liquid to the maximum mark and close the cover. If you have any doubts regarding the volume of antifreeze you must put it, read maintenance specifications for your vehicle. It contains a lot of detailed information about Ford Figo coolant change or about the replacement on other car models. The majority of coolants must be diluted with water in the ratio of 1:1. Do it beforehand in some clean container, so the only thing you have left to do is just put liquid in the system. Fire the engine and keep it idling for a few minutes. Don’t close the radiator cover and turn on the cabin heating at its maximum power. Once the engine reaches the desired temperature, you should check whether the circulation of antifreeze in the system is normal. If everything is going fine, shut down the engine, wait until it cools down and check the level of liquid inside. If it is on its maximum, then everything is OK, but if the level is below the required mark, put in some additional antifreeze. This liquid is extremely health hazard, so you should strictly follow all safety rules during the process of the car coolant change. Don’t let this liquid contact your eyes or any open skin areas. Aside from that, you must make sure that there are no kids or pets nearby during the process of the car coolant replacement. Where can I buy antifreeze? You can purchase antifreeze at any gas station or in any auto shop. However, you should be very scrupulous about the selection of this liquid. And you certainly don’t need to stretch your finances. 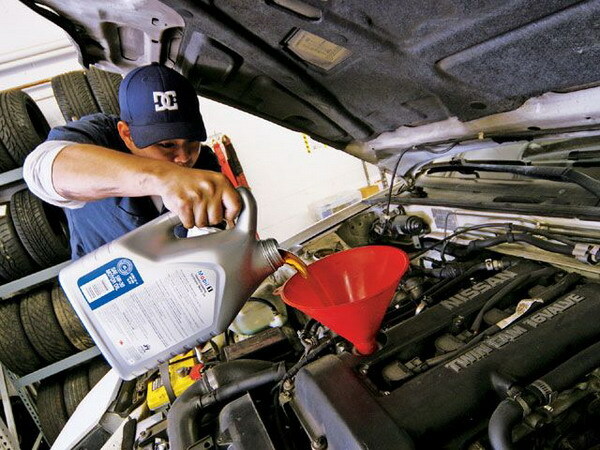 Low-quality antifreeze can seriously damage the cooling system and the engine of your vehicle. The engine repair or replacement will be a lot more expensive compared to the price of a new can of genuine antifreeze. Can material. It should be some high-quality and strong plastic. Absence of precipitates at the bottom. Sticker with all important details (manufacturer, composition, storage life, application method, etc.). The best idea will be to visit only large and specialized offline or online shops to buy antifreeze.